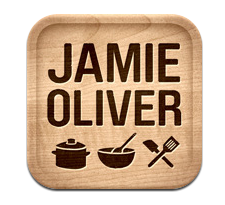 I recently downloaded Jamie Oliver's iPhone app; I am absolutely loving it. 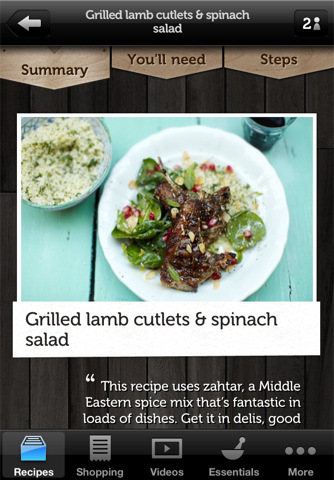 Free to download, and comes with a starter pack of 10 recipes and 3 videos. 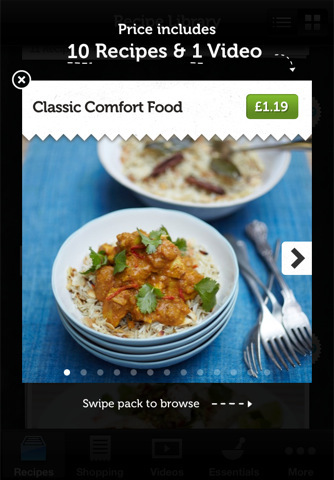 You can purchase further packs for $0.99, and they all come with 10 recipes and 1-3 videos so far. I realized while writing this post that an iPad version has just been released, and it looks even better than the iPhone counterpart! 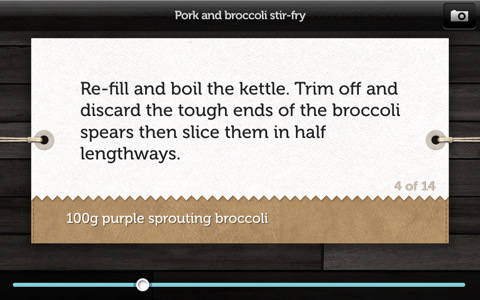 The design is pretty intuitive, and there are many cool features such as Jamie Oliver (audio) explaining things randomly or pushing you on saying only this step left to do. You can also double tap any step to view a picture of it. 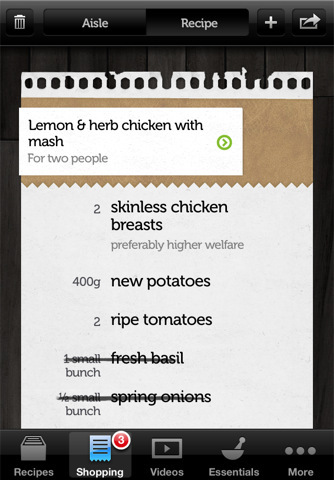 The app also has the ability to create a shopping list of the ingredients that you need for a particular recipe. Idiot proof really. Can't wait to try some recipes out. Get it here from iTunes. It is also available for Android. 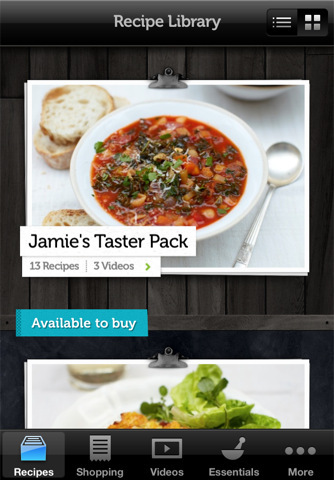 LIMITED OFFER: To celebrate the launch of Jamie's Recipes on the iPad all packs are half-price. But be quick, offer ends on the 14th August.